Untamed horses roam through picturesque settings in this 3-D picture gallery. Individually and in groups, they traverse plains and forests, gallop along shorelines, and travel through other natural habitats. 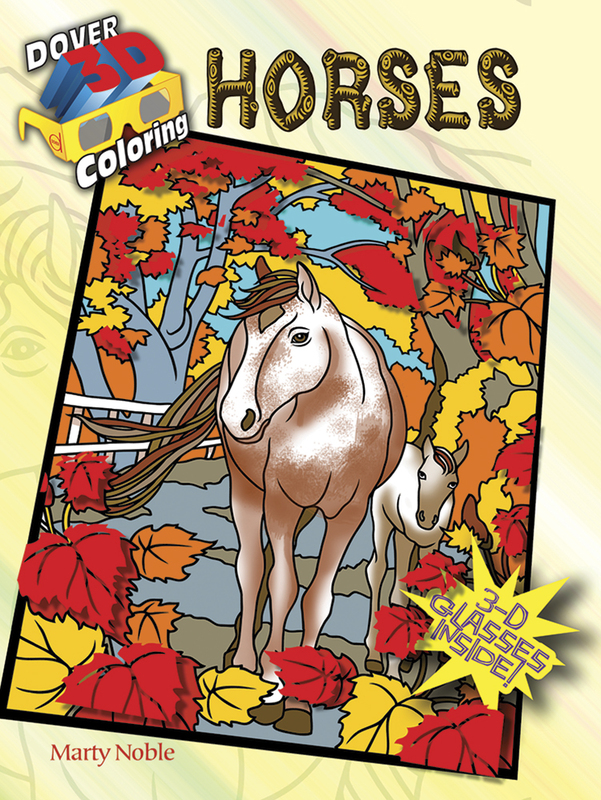 And when you color them according to the simple directions, the horses will magically leap off the pages! 3-D glasses included. Marty Noble.